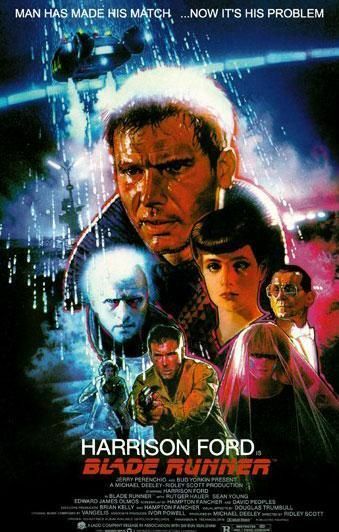 Bladerunner - the infamous film that wasn't a success on its first release, but reputation grew over time. So many different versions of it. Maybe people just weren't ready for a serious and bleak sci-fi film. Stunning visuals. Anyway, it was released in that year. 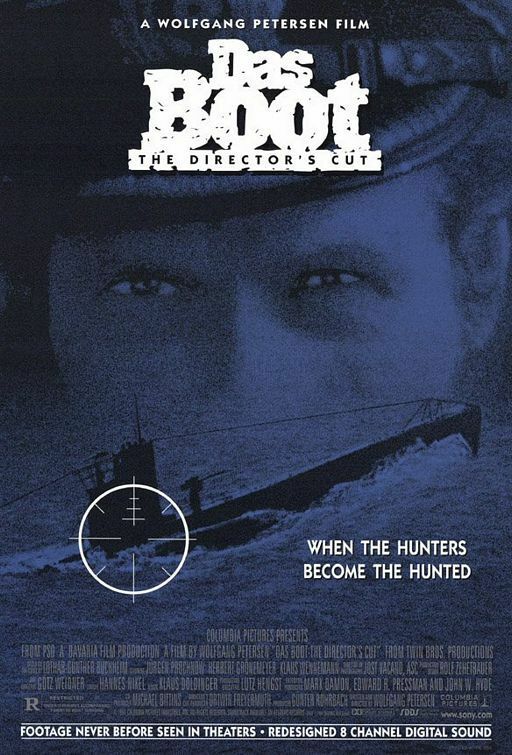 Das Boot - the famous submarine anti-war film. Again - many versions of it exist - including a mini series! Remember also : "It's along way to Tipperary." I think the submarine base was the same used in Raiders of the Lost Ark. ET - this probably was *the film of 1982* - certainly, in terms of box office. Can't say that I was a fan - I never sort of got the film. However, many people still like it and think it's Spielberg's best work. Tron - this tanked at the box office. It was Disney's second PG rated film(an "A" at the time under old BBFC system) after The Black Hole. Another film that had its reputation gain over the years. Popular with us retrogamers - as it features games and computers. Who can forget the light cycle race. Star Trek II : The Wrath of Khan - come on now, everyone : "KHANNNNNNNNNNNNNNNNNNN!" Everyone loves that part, right? Probably, the most iconic of all the Star Trek films. Has the best bad guy. The Ceti Eels. The best space battles. It also does deal with things like aging and friendship. What's not to like? 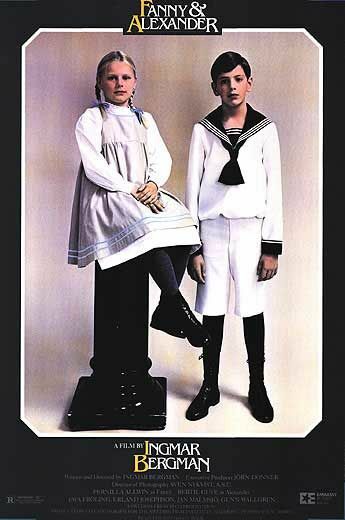 Fanny and Alexander - for the arthouse crowd. Was meant to be Ingmar Bergman's last film. There's also a few different versions and a mini series. A moving story of family relationships. I actually think it's his best film. 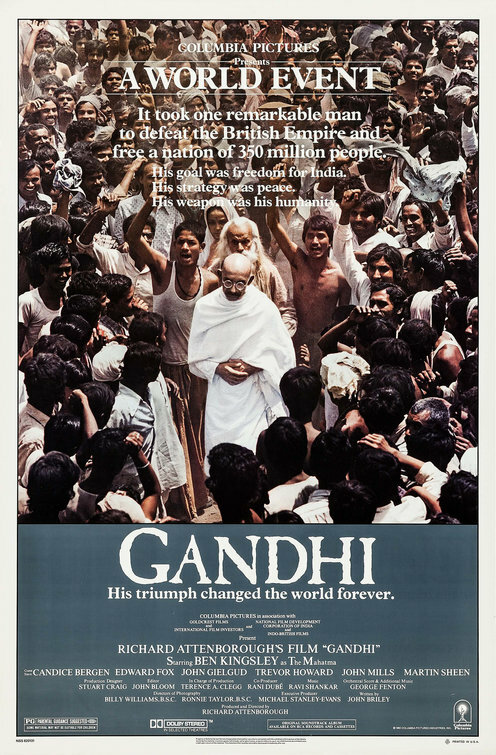 Gandhi - the film that "robbed ET of its Oscars" - as many people claim. Okay, it's a standard fare biopic - but whilst I don't think it's the best film of that year(I would have gone with Das Boot myself) - it has got an epic scope and feeling that you just don't get in many modern films. It really does have that sort of sense of scale and wonder from old epics. Oh - and then there's Ben Kingsley - to quote Dr. Kermode : "When he's good, he's very very good and when he's bad he's Gandhi"
Anyway, share your thoughts. What are your favourites and why? Also, did I leave any films out there? The greatest year in human history... but then, I am a bit biased! Liamh1982 wrote: The greatest year in human history... but then, I am a bit biased! Indeed. It was also the year of the C64 and Spectrum - so there's even more pluses. 'The Dark Crystal' – Jim Henson and Frank Oz, 17 February. 'Poltergeist' – Tobe Hooper, 4 June. 'E.T. the Extra Terrestrial' – Steven Spielberg, 11 June. 'The Thing' – John Carpenter, 25 June. 'Blade Runner' – Ridley Scott, 25 June. 'Creepshow' – John A. Romero, 12 November. 1982 has to be if not the best year for film in its history, so much original and amazing storytelling I think we'll truly never see films of this legionage again in our life time, actors where in their prime, film cinematography was to die for and no Marvel Fu*king franchises churning out 3 films a year..all in all simply fantastic across the board..a great post..many thanks for sharing..
Out of all the films on that list I've only somehow seen Khan and Blade Runner and I thought that BR was so dull. and no Marvel Fu*king franchises churning out 3 films a year. Oh god, is anyone else sick of Marvel? They have even taken over the magazines like Empire and Total Film with their super hero covers. As for the films and 35th anniversarys etc i'm sad/depressed its 35 years ! Seems like yesterday i saw those films at the cinema. Cant believe how fast time has gone ! I like (most of) the Marvel movies, but they've focused a bit too heavily on the X-Men and Avengers. I like the individual movies more, where they can spend time on one character instead of squeezing too much in. Iron Man is a classic superhero movie imo. 1982 was a pretty important year for cinema! Rocky III is my favourite of the Rocky movies, namely because of Mr. T and Hulk Hogan as Thunderlips! E.T. and Gandhi are of course timeless classics. 1982 also saw the release of Tron. Of course - "Reproduction!" That's a great song! Plus, it stars Michelle Pieffer. Porkys was easily the best film of 1982.Not a bad year for movies 82 but 1984 is my favourite. We need a good sequel as the "sequel" was disappointing.